President Trump's former communications chief Hope Hicks is taking on a similar role at the new Fox company, meaning she'll supervise messaging at her former boss' favorite television network. 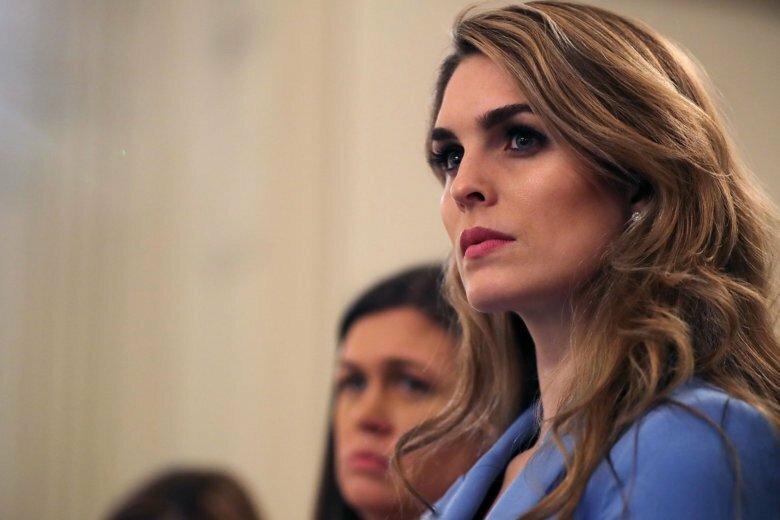 NEW YORK (AP) — President Trump’s former communications chief Hope Hicks is taking on a similar role at the new Fox company, meaning she’ll supervise messaging at her former boss’ favorite television network. The new company, being created by the shedding of many of 21st Century Fox’s entertainment assets to the Walt Disney Co., will include Fox News Channel, the Fox broadcasting network, several local Fox stations and Fox Sports. Hicks’ hiring was announced Monday by Viet Dinh, chief legal and policy officer. Hicks, who left the White House on March 29, will be based in Los Angeles. Hicks had a mostly behind-the-scenes role at the White House. But she was one of the president’s most trusted aides, and had worked for him at his real estate company before Trump was elected president. It’s not immediately clear how much of a role Hicks will have at the New York-based Fox News, where communications has been run for several years by Irena Briganti. It seems to deepen the relationship between Fox News and the White House, where former Fox News executive Bill Shine is the communications director. Trump gives the bulk of his television interviews to Fox News. Dinh also announced the hiring of Danny O’Brien from General Electric as head of government affairs for the new company. O’Brien is a longtime Washington hand who was staff director of the Senate Foreign Relations Committee and chief of staff to three senators. The new company is expected to get an official name and begin operations early next year. Julie Henderson and Nathaniel Brown, the communications team at 21st Century Fox, are not moving to the new company.